The Delta Water Summit will be held on August 3, 2013 from 9 a.m. to 12:30 p.m. at Fresno State’s Satellite Student Union. The Summit is intended for farmers and the community as a whole to hear what’s going on from key legislators, administration (state and federal) and water agencies. 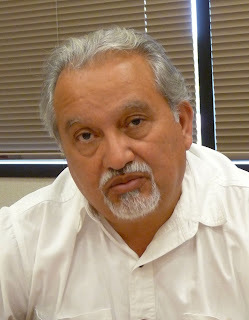 “What’s going on?” asks Mario Santoyo, Organizer of the Summit and Director of The California Latino Water Coalition, an organization dedicated expressly to helping constructively craft solutions to California's water crisis and ensure that our state's vital water supply needs are met now and in the future. Although formed as a voice for Latinos, the Coalition is a positive force benefitting all Californians. “If I am a farmer today, struggling, and I hear that next year we’ll may have zero water allocation, or even ten or twenty percent, coupled with the current bad year, I am probably looking at going out of business,” warned Santoyo. “I think it is important for all of us, in general, to get to a point to where we all know what we need to do, agree on how we are going to do it, and then work together to try to make it happen,” noted Santoyo.